Unit 3 Tongland Depot, Tongland, Kirkcudbright, Scotland. DG6 4NB. WC in Fields is a family run business started in 1988. We take pride in our personal approach and our attention to detail calling on 23 years of experience. 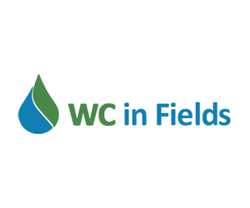 WC in Fields is dedicated to providing a local, high quality service with no fuss, no hassle, and no mess. Our prices are very competitive and all work is carried out promptly and efficiently . We have the equipment and the experience to provide the best solution for your event Toilets & Showers or waste removal requirements, from a single toilet for a party up to a major festival event. Our waste removal and disposal services can help from a single caravan toilet up to a large caravan park Septic Tank Emptying. We are one the most ecologically aware toilet providers using the latest in microbial technology for the least environmental impact. We do not use harsh chemicals. WC in Fields can supply high quality portable toilets for any occasion - an agricultural show, music festival, wedding, building site or on a grouse moor. The units are maintained to a high standard and are regularly serviced by our trained staff.